Here are some really great FREE mobile options that you can take advantage of! Devices: Any smartphone or Tablet. We need the ability to set showings with Sentrilock integration. Thanks for the feedback, Eli! We’ll put that on our list. 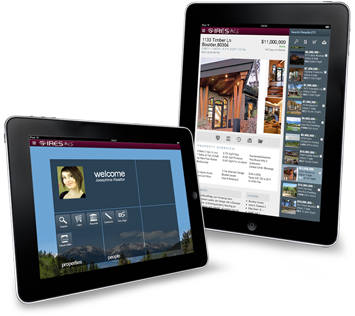 It would be nice to have a way to set up showings on an iPad (preferably) or iPhone for our listings when agents call to show our properties. Being a small firm with no one in an office to field calls 98% of the time, it would make it more efficient for agents like us not having to run to a office computer to set showings up. Thank you. Thanks for the input, Casey. Do you use the IRESis Showings System, or are you looking for another system to be integrated? I do use the IRES showing system. However, there is not a way to look up agents and set up showing on a mobile device such as an iPad or a smartphone. Yes, I understand it’s not in there now. I just wanted to make sure you were requesting IRES Showings integration and not another system. We’ll put that on the list, thank you for the input! Thank you! It would be a big help! Great, thanks for the input, Bruce! I need to be able to edit my listings from my phone! Nothing worse than realizing that my published listing is incorrect with no quick way to amend it 24/7! Are there specific fields that you would consider more important than others to be able to edit on the phone? it would be really great to be able to search street name in a function that can limit to only active listings, as our clients frequently say “oh I don’t know the number but it was on XYZ Street”. The only way now to search by street name is up above where you can not limit to only active listings. Thanks! On the phone site, it is defaulted to Active listings now. Just type in the Street Name (and maybe a city to help narrow it down) and you are good to go!